Thailand’s OPG International Co., Ltd., the maker of Coc’eau coconut water and coconut milk-based drinks, showcased the latest Coc’eau Awake coconut flavoured energy drink at the recent Thaifex 2017. 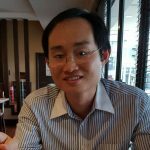 The unveiling of the coconut energy drink shows Thai coconut beverage makers are exploring other avenue of growth to cater to the different consumer segments. Similar coconut water energy drinks have been launched in other markets including Rockstar Rehab Coconut Water Energy Drink, Phenom Coconut Water Energy Drinks and Hiball Energy Organic Drink. Generally, there are more coconut water innovation in the sports drink category than in energy drink. 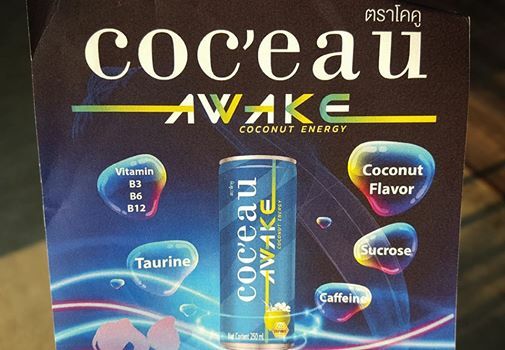 Coc’eau Awake contains vitamin B3, B6 and B12, taurine, coconut flavour, sucrose and caffeine. It is sold in a 250ml can. Previous articleBizzare but true – Durian soya sauce!